The Hyundai Authorized Tire Center Program can be officially deemed a success, as Hyundai Motor America announced sales in excess of 1 million tires. If you average that out at three tires per sale, it adds up to 333,000 thousand vehicles on the road made safer by the addition of new tires. The magical 1 million number was reached in a relatively short space of time, as the program began with a partnership with Dealer tire in April, 2011. 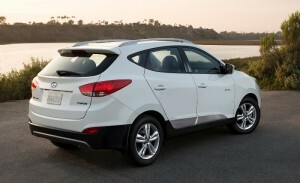 The deal allows Hyundai owners to purchase best new tires directly through their Hyundai dealer. The tire program has allowed Hyundai to improve loyalty and customer service, making them a leader in dealership tire sales. The addition of the tire program has seen parts and service sales increase across the county. This huge number of sales in the past three and a half years has seen Hyundai cash in on an area where other auto dealers are flagging. It’s a great way to pull in and keep customers. The tires serve as the point of contact between the car and the road, which makes them crucial to the driving experience. They also provide the first level of safety for everyone in the car. Tires can help improve such things as braking, cornering, fuel economy, and even how much cargo you can safely carry. The Hyundai vehicle you drive has undergone strict performance and safety tests, which is why certain tires are recommended for your specific vehicle. The Hyundai tire program helps you get the exact tires your vehicle needs.